Looking for cheap flights? Skyscanner's Everywhere search lets you find the cheapest flights from your nearest airport. Whether you’re looking for a quick getaway or just hunting for inspiration for your next big holiday, you can compare multiple destinations at the touch of a button and pick the best cheap flight tickets for you. For a great mobile experience, use the everywhere feature in our app! How do I use Skyscanner Everywhere search? 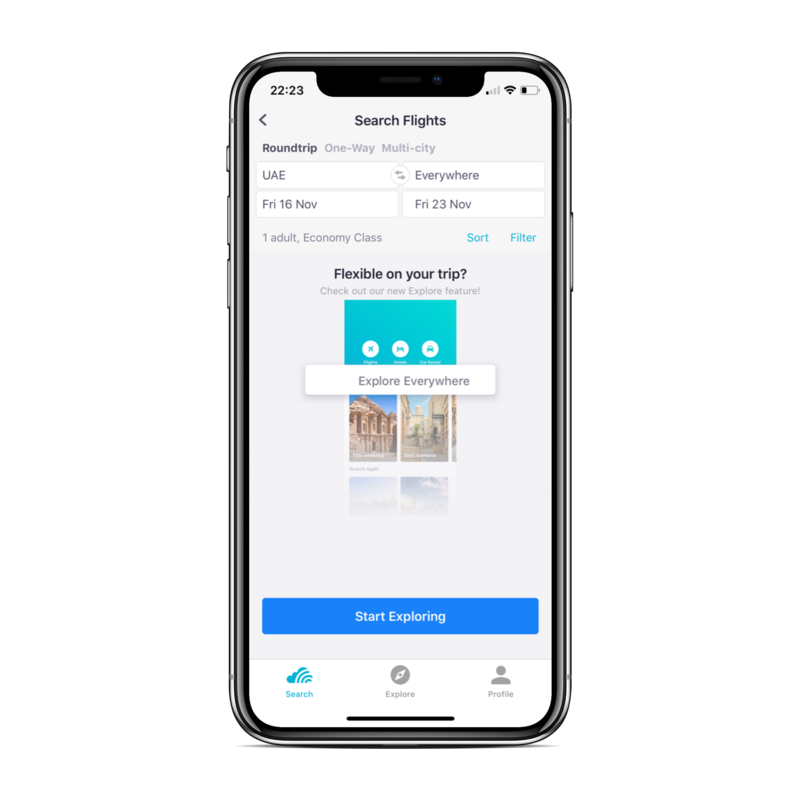 The Skyscanner Everywhere Search is a useful travel hack function that allows you to quickly see what flights are available from your location and what price deals start at. Travelers can use this for inspiration when they are looking for travel bargains. Start by entering your nearest airport in the ‘From’ box – or if you’re feeling flexible on where to travel from, you can enter an entire country. By typing in UAE, for example, you’ll be able to find and choose from the cheapest flights leaving UAE on a certain day or month. Once you’ve chosen where to fly from, simply start typing Everywhere in the ‘To’ box and you’ll see it appear as a destination option in the drop-down list. Your search will now pick out all of the cheapest destinations to fly to from your departure point. If you’re looking for flights for a specific travel period or hunting for a last-minute weekend getaway, then enter your dates in the ‘depart’ and ‘return’ boxes. 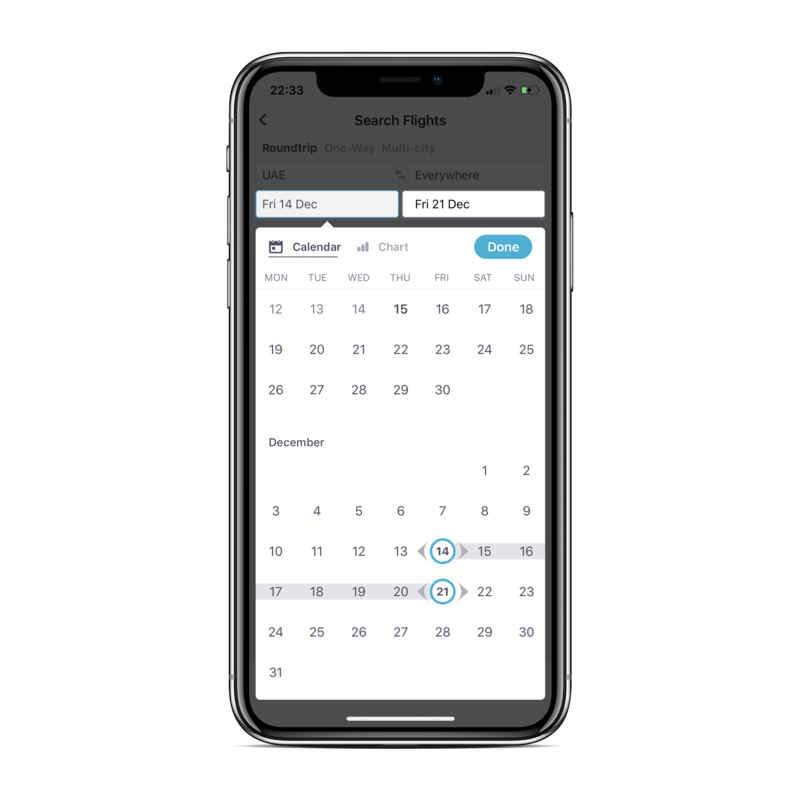 Or if you’re just looking for inspiration and are flexible on when you fly, then use our Month view to search flights going to all destinations across a whole month. You can instantly see which are the cheapest destinations to fly to from UAE in July, for example. Hit the ‘Depart’ box button, choose the ‘Whole month’ option and pick the month you fancy. Not sure? You can just select ‘Cheapest Month’. Don’t forget to add the cabin class and the number of passengers, and then hit ‘Search flights’. Skyscanner does the hard work for you, scouring the web to find and list all of the destinations you can travel to – rather conveniently, starting with the cheapest. Once you’ve run your search, click on the country name and you’ll see a list of cities, starting with the lowest airfare to the highest. With just a couple of clicks, you can find the cheapest air tickets to everywhere and anywhere. As easy as that! Four super simple steps to find the cheapest flights to absolutely everywhere. Time to test out the cool Everywhere search yourself? You can also use our Everywhere Feature on our App! Why not not browse for destinations and book straight from your phone? Love the Everywhere tool? Then check out Skyscanner’s Price Alerts – as soon as the flight price you’re watching changes, you’ll be the first to know. Saving you time and money! Skyscanner is the world’s travel search engine, making your money go further on cheap flights, as well as hotels and car rental deals.